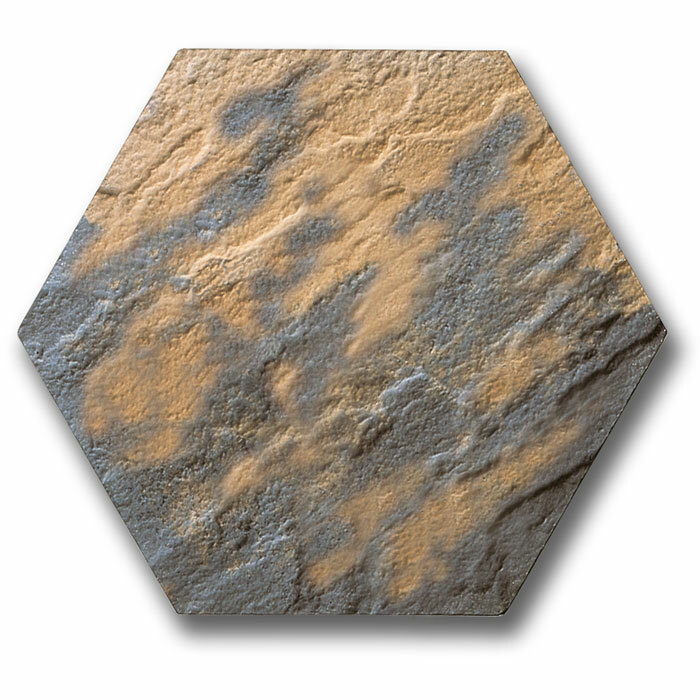 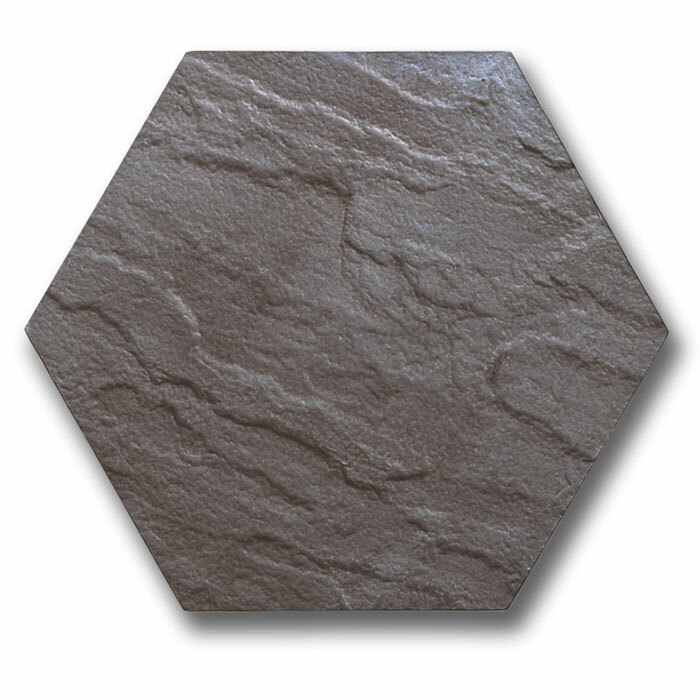 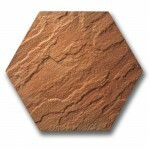 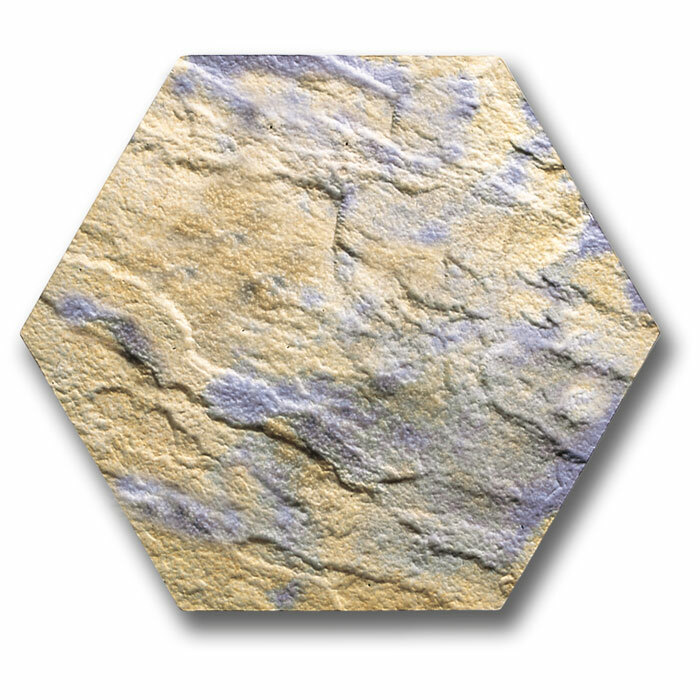 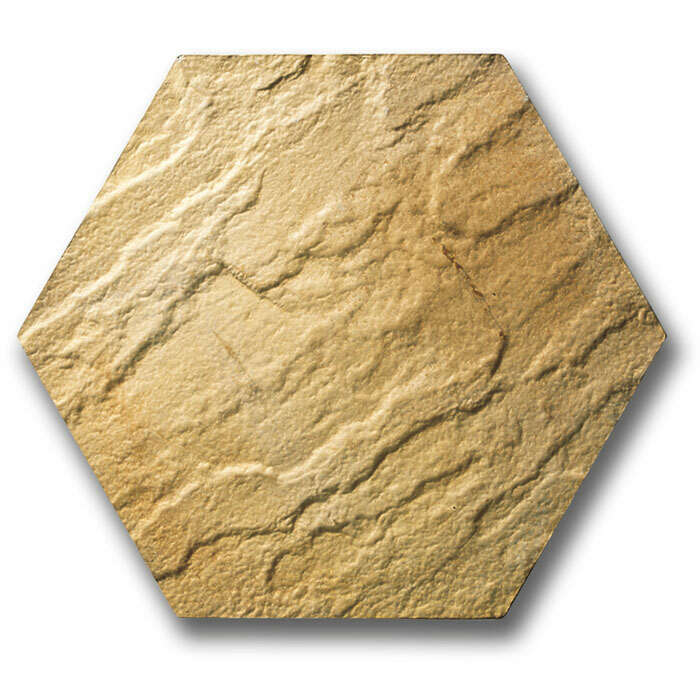 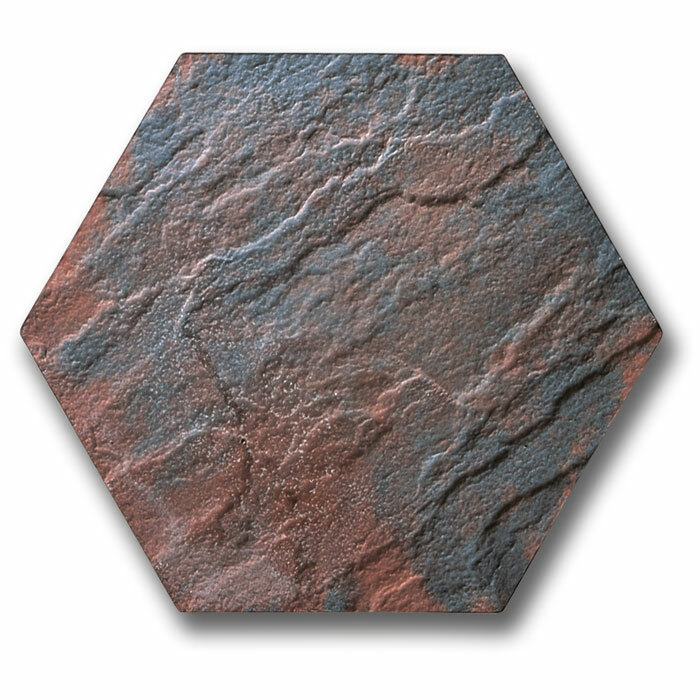 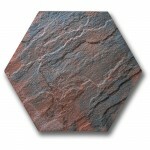 Hexagonal paving offers an eye-catching but effective variation on the standard square or rectangular format. The riven finish and complimentary colours creating a distinctive departure from the normal. 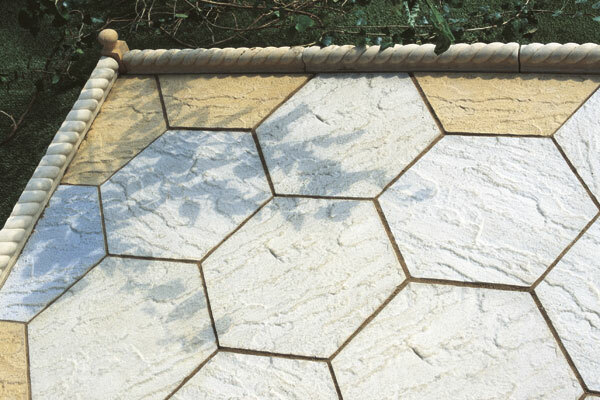 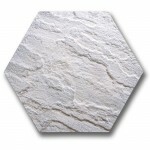 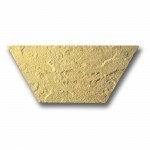 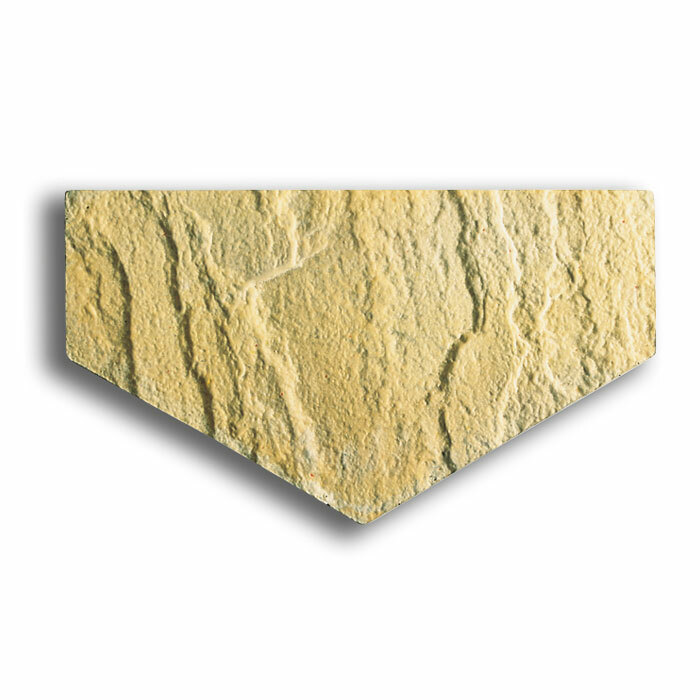 The half hexagonal may be used in conjunction with the full slab to make squaring of areas that much easier.